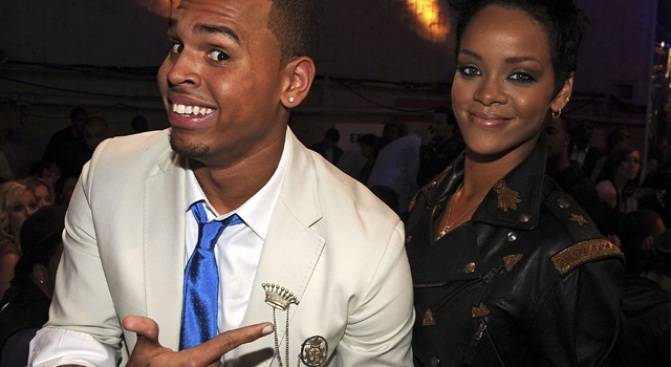 Happier Times: Singers Chris Brown and Rihanna at the 2008 MTV Video Music Awards on September 7, 2008 in Los Angeles, California. Fallen superstar Chris Brown may beat his domestic abuse case yet. His attorney, Mark Geragaos, lawyer to the stars, reportedly said he is trying to get the case dismissed because of leaks to the media, TMZ.com reported today. Geragos, who has defended Michael Jackson, Winona Ryder, Gary Condit and Scott Peterson, told the website: "Leaks can form the basis for a motion to dismiss the case in regard to outrageous governmental misconduct." Meanwhile, Brown's alleged victim, (former) girlfriend Rihanna, is set to get her bling back. She was wearing about $1.4 million in borrowed jewelry when she got into the now infamous altercation with Brown on Feb. 8, and it has been held by the cops ever since. But a judge ruled today that the baubles should be returned to their rightful owner, and the LAPD will take pictures in case it needs to be used as evidence.